The expansion packs for “The Sims 3" series all have a theme. Most of the time, the kids and teenagers are left out in experiencing much of what the expansion packs have to offer. That is not the case with “The Sims 3: Generations" expansion pack where a large majority of the content is actually given to the younger Sims. Toddlers, children and teenagers all received a nice portion of new objects that they can play with or decorate their rooms with. They even received a nice assortment of new outfits. This was a much needed thing for the game because they have been quite neglected with most other expansion and stuff packs. Aside from the new objects, youngsters can now attend afterschool activities such as ballet and scouting. When they are teenagers they can even join clubs to learn skills. Before a Sim graduates they will also be able to go to the prom. Kids and teenagers can also be sent to a private boarding school to learn away from home. They can pull off pranks but also suffer from The Sims 3 punishments their parents can enforce. Kids can have The Sims 3 imaginary friends that can become real, host sleepover parties (with new sleeping bags even) and have pillow fights amongst other things. It is very fun and makes an enjoyable part of “The Sims 3" experience. 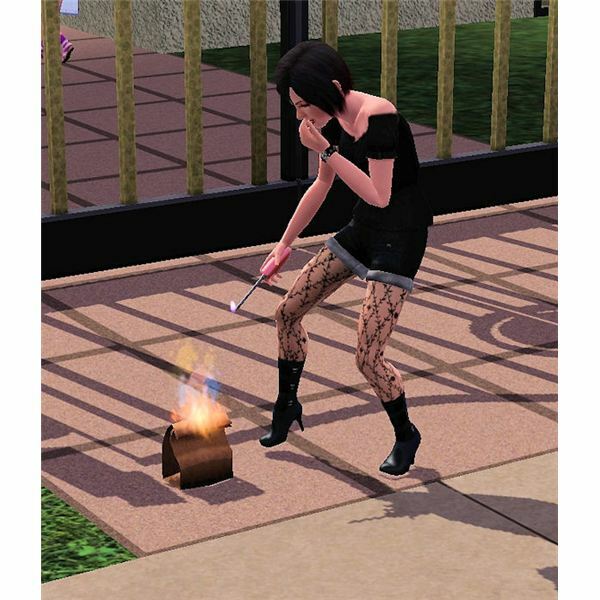 In the “The Sims 3: Generations" expansion pack, kids and teenagers are able to set traps and pull off pranks. Only Sims that are in the age range of being a child to teenager are able to do this. Once Sims hit the young adult age, they will not be able to do any pranks. So, unless your Sim is a goody-two-shoes they will probably have some wishes to set a booby trap or do a prank. They might even have wishes to do it to a certain Sim (such as a parent that they may not like so much). The Sims 3 pranks that can be done are sometimes selective to just one of the age groups. For instance, the younger kids can’t do the riskier pranks such as egging a house or stealing tests from their school. The younger kids and the teenagers can do the following pranks: set the computer to be scary, switch shampoo in the shower, set the sink to spray the next user, clog the toilet, dump water on a Sim from the tree house, and use a whoopee cushion. The teenagers can do the riskier pranks including: make a crank phone call, do the doorbell ditch, egg a house, light poop on fire in front of a neighbor’s house, and do the school pranks at their local community high school. When the kids and teenagers are caught doing a prank or are perhaps out after curfew, they can now get in trouble with their parents (or other adult figures that also live in their household). When a kid is caught, they can use the social interaction to try to “Beg for Forgiveness." The adult that punished the kid can also choose to “Let off the Hook." Generally speaking though, the first offense doesn’t amount to much of a punishment for the child or teen. They are easily able to be let off the hook. Everyone makes a mistake now and then, so the parents are usually easy on the kid and lets them off the hook after the kid does some chores around the house. The second offense usually amounts to the parental Sim taking a favorite toy away from the misbehaving kid. If the kid has a TV or a computer, that is usually the object that is taken away. Kids spend most of their extra time with those “toys" so that is what the parents go for. 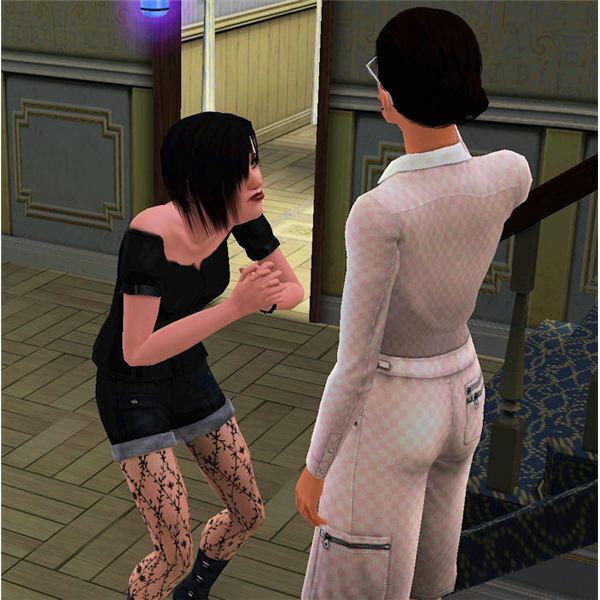 The Sims 3 punishment for the third offense is more severe. This is the one that the parent will ground the kid and not allow them to leave the house, unless they have to go to school of course. If a teen as The Sims 3 prom coming up, this could be a very bad thing! The prank or severity for the reason of a kid or teen being punished also is a big factor to how they are punished. Some pranks and actions require more severe punishment. So, be sure the rewards of the prank or action is worth it for the Sim or the punishment may really not be worth it.